There are over 10 beaches in Cambodia. Ochheuteal, Serendipity, Sokha, Independence, Victory and Otres beaches line the southern coastline of Cambodia, not far from the riverside towns of Kampot and Kep. At the end of Ochheuteal lies Serendipity, the most popular and touristy beach, hosting a large cluster of restaurants, guesthouses, hotels and lively bars, and Otres, where beach shack hangouts and shoreline bungalows provide an escape from the party atmosphere. All other beaches are accessible by leisurely walks or a quick tuk tuk ride. There are three main islands accessible from Sihanoukville: the more established and not yet ruined Koh Rong, the stunning (and yet fairly untouched) tropical island of Koh Rong Samloem, and the smaller Koh Russei (Bamboo Island), all of which are flanked by gorgeous beaches and a variety of accommodation options to suit all tastes and budgets. All three islands can be accessed via daily boat departures, which are easily booked through operators in town or via your guesthouse or hotel. 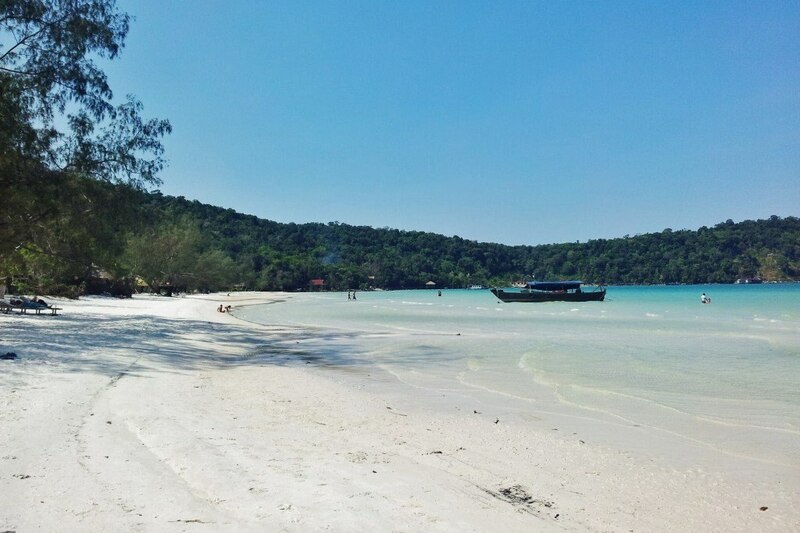 Everything from full-day tours to party boats visits the two Koh Rong islands should you be limited on time. Accommodation and transport to Koh Russei, being smaller and more exclusive, needs ideally to be booked in advance. 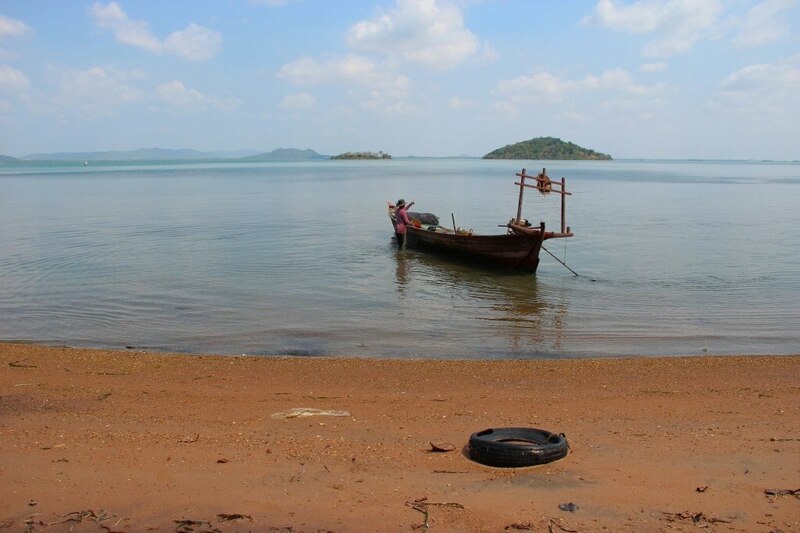 In addition to the Sihanoukville offering is Koh Thmei - an island that is part of Ream National Park, perfect if you wish to mix relaxation with a little adventure. Just off the coast of Kep is a small island popular with Cambodians and thus retains its local, hideaway feel. Only one side of the island is geared up for tourists, with a selection of $10+ bungalows set within the outer jungle and along the beach. A good hour-long trek around the island will bring you to the secluded beach on the other side, although this is more for exploring than sunbathing, this side of the island being strictly a local space for the fisherman and their families. By far the most well known sun-drenched haven, buzzing with life and an array of activity, Nha Trang attracts both domestic and foreign tourists alike, despite not being the most idyllic or charming beach. Known primarily for its great scuba diving, the long, golden sandy beach with its lapping waves is a fine spot to relax and is bolstered by some of the best worldwide cuisine options and bustling nightlife. If you are looking for a more tropical holiday, head to Phu Quoc Island. Although closer to Cambodia, this historically and politically contested island is Vietnamese and home to some of Southeast Asia's most beautiful white sand beaches that line a dense jungle interior. Bai Sao beach is said to be an isolated find and, although tricky to get to, may just be well worth the hard work to get there. Not many travellers head north of Halong Bay, but those who do decide to take on a few hours of sail will come to Quan Lan Island. It's here that undeveloped slithers of beach blend with forested backdrops, small towns and Buddhist pagodas. Certainly an island for the more adventurous. The beach is not the first point of call for visitors to the peaceful UNESCO port town of Hoi An, known for its incredible cuisine and infamous tailors. Yet Cua Dai beach, or 'the big sea mouth', is a vast stretch of fine sand beach that sweeps from Hoi An down to the north of Da Nang, and the moderate waves attract watersports enthusiasts in their droves. Other beaches include the popular yoga spot of An Bahn beach and the resorts of Ha My and China Beach. In an area known for its low rainfall, Mui Ne could well be the sunniest place in Vietnam. Choose from a tropical palm tree lined beach or spend time walking, running or rolling down the spectacular sand dunes in their hues of red, yellow and white. Get here while you can: word of its beauty is spreading fast. Did you know that the stunning Mergui Archipelago in southern Myanmar has over 800 islands that are mostly uninhabited? The only downside is that it is currently not possible to travel to the islands without seeking permission from the military government in order to obtain a permit. This can be a lengthy and costly process if you are eager, but taking your chances by being in the area and asking a local to take you out on a boat won't work - I've tried. The glorious and accessible western coastline of Ngapali Beach is popular amongst those travelling in the country with some time to explore away from Mandalay, Yangon, Bagan and Inle Lake. Clear blue waters and soft white sands, lined with coconut palms and the sweet smell of isolation, makes this a perfect destination for those wanting to avoid the crowds.